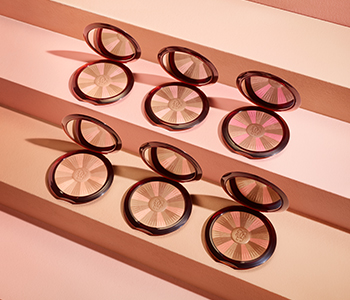 Recreate a sunkissed glow with GUERLAIN Terracotta face, a bronzing collection that is summer incarnate for the complexion. The enhancing range allows you to prolong and recreate a golden, tanned look all year round. From bronzing powder to skin tint fluid, your summer glow is extended beautifully. Choose from shimmering and matte formulations to achieve a sculpting or a natural looking tan.